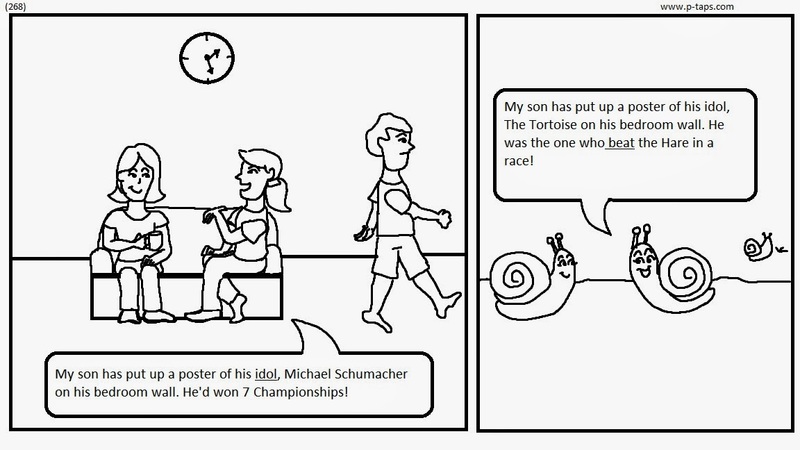 HUMAN MOTHER - My son has put up a poster of his idol, Michael Schumacher on his bedroom wall. He'd won 7 Championships! WARP'S MOTHER - My son has put up a poster of his idol, The Tortoise on his bedroom wall. He was the won who beat the Hare in a race! HAVE YOU SEEN HIM, THE CM?